“The thinking a person engages in while reading fiction does not necessarily lead him or her to a decision,” said the researchers. Thus, readers don’t feel the need to have definitive conclusions. The researchers also theorized that readers of fiction enter the minds of characters whose thinking may be very different from their own. There they gain insights and new perspectives, thus broadening their view of the world. Reading the results of the University of Toronto study helped me to realize that perhaps part of my motivation for reading—and in particular, preferring to read fiction that is ambiguous—is because I want to keep the door to my mind open. In this guest blog I discuss several stories that are ambiguous and how they stimulate thinking with an open mind. Whether I’m reading a novel or a short story, I don’t want that carefully crafted piece of fiction to lose its power because the writer insisted upon tying a pretty pink bow. I don’t want resolution or certainty. I don’t mind complications and contradictions. I like characters left in limbo, torn between decisions. At the end of a novel or short story, I want the writer to grant me the freedom to allow my imagination to take over. I want the gift of openness when I close the book. Rash’s “The Trusty” is an intense but mystifying Depression-era story about a “trusty” prisoner (given privileges due to good behavior) who meets a young, isolated farm wife while searching for water for his fellow chain gang members working nearby. The two hatch a plan and begin an escape mission based upon interdependence, but it’s hard to tell who trusts whom and what personal motives are driving Sinkler and Lucy as they tromp together through the backwoods of North Carolina. Is Sinkler really interested in a relationship or only using Lucy as a guide whom he will abandon as soon as they reach their destination? Is Lucy leading Sinkler to freedom or into a carefully pre-planned trap? And what part does Lucy’s husband play in Sinkler’s capture? The end is carefully inconclusive, inviting room for multiple interpretations and potential possibilities. “Into the Gorge,” an award-winning story by Rash included in the collection Burning Bright, writes Steven Beattie, “is exactly the kind of work that is liable to frighten off readers who demand to know, like anxious children, what happened.” An aging man in need of money attempts to harvest ginseng planted on land years before that once belonged to the family and that Jesse feels is rightfully his. Ignoring the No Trespassing signs posted on the land now, Jesse begins harvesting the crop but is caught by a park ranger who attempts to arrest him. Jesse pushes the ranger down an abandoned well and flees into the Appalachian woods. The story ends with an image of Jesse alone at night, waiting “for what would or would not come.” Does he escape? Is he arrested for poaching or murder or both? Or does he die alone in the woods? Rash offers no moral judgments or simple conclusions: only many dangling possibities to think over. All of the characters in Maile Meloy’s second short story collection, Both Ways is the Only Way I Want It, are plagued by ambivalence when faced with choices. Celeste Ng writes: “For these characters, both ways is the only way they want it. They don’t want to choose, and their conflicting longings drive these stories.” This collection is reviewed on my Short Story Insights website. In “Lovely Rita” a nuclear plant worker wants it both ways when he tries to stop a co-worker from selling her body for a night in a raffle contest yet can’t help but imagine himself as the one with the winning ticket. The grieving father in “The Girlfriend” pays a heavy price for having it both ways: he suffers both the pain of not knowing how his daughter was raped and killed and the even more painful truth. In “Two-Step” a young wife experiences the pain of having it both ways when she learns that her husband is cheating on her while she is pregnant, very similar to the way she engaged in an affair with him when he was still married and had a newborn baby. We can relate with each of these very human and flawed characters and empathize with their emotional dilemmas. But the ultimate decisions they make are ours to ponder. In “Lovely Rita” is Steve drive more by passion or benevolence? When the grieving father in “The Girlfriend” learns of his unintentional role in the death of his daughter, does he wish he had never sought the truth? Does the marriage in “Two-Step” survive betrayal? They begin writing based upon the spark of an idea without benefit of plans, notes, or outlines. They allow their novels and short stories to evolve as they write. They embrace ambiguity and tolerate disorder in the process of writing, which translates into their fictional writing. They patiently wait for ideas to come, often in random and chaotic bursts. They write endings that are often open-ended and inconclusive, not because they cannot decide upon a conclusion, but because ambiguity is the natural conclusion to their novel or short story. They are comfortable involving readers as active participants in the literary process. They offer readers the freedom of imagination and the gift of openness. 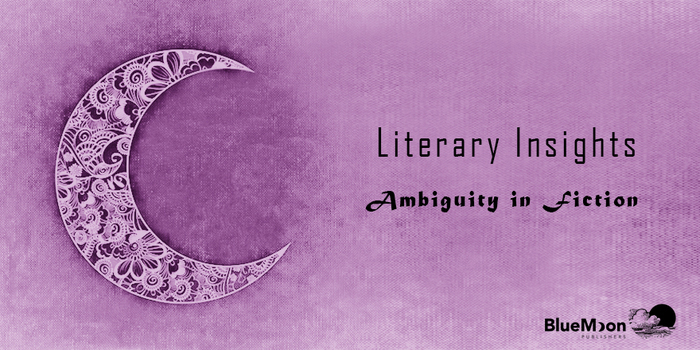 How do you use ambiguity in your writing?